Ladies, are you looking for some makeup tips for whiter teeth? You’re in the right place. There is no need to hide that beautiful smile of yours just because it’s not perfectly white. Adopt these tricks up your sleeve and you’re golden. Let’s go with the basics first & what’s more crucial than a good oral hygiene routine set in place? Make the dental floss your best friend, especially after the meal. Avoid drinks that stain your teeth, like wine and coffee. Make sure to brush your teeth regularly. A toothpaste with whitening ingredients can help when it comes to getting rid of that yellowish hue. Use mouthwash on a daily basis to freshen up and there you go, you’ve covered the dental care basis. Now, let’s move onto the specifics. 2. Go Bright & Bold! You might want to opt for a bright and bold red lip with blue undertones to create that contrast and make your teeth appear whiter. Berry tones with blue undertones are great as well. Best part, apart from making you stand out, these hues are all the rage this season. Make sure to use bronzer or highlighter on your face to achieve that healthy glow that’s going to make your teeth stand out as well. It’s like a bounce light to your teeth and additionally, you’re going to look like a glowing goddess. Yes, accentuate your lips with a concealer or highlighter to truly outline the shape of your lips and add that extra glow that’s going to make your smile pop. 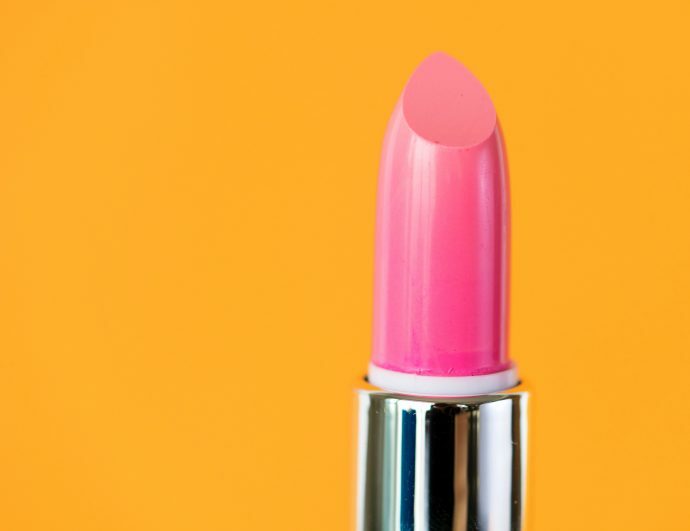 This way you can perfectly manipulate the size of your lips, apply the lipstick flawlessly and make your teeth really stand out in a good way. Think about your face as a whole package and don’t focus just on your mouth. Take care of your hair and add some highlights and dimension to it. Additionally, sweep on some blue, purple or silver eyeshadow onto your eyelids and you’re all set!